Starting a business is hard enough. Add to that a lack of funds and the pressure can kill a dream pretty fast. However, even though your credit may not be great, there's still a chance you can get a start up business loan. It may surprise you to know that you can look outside of traditional bank loans for cash. 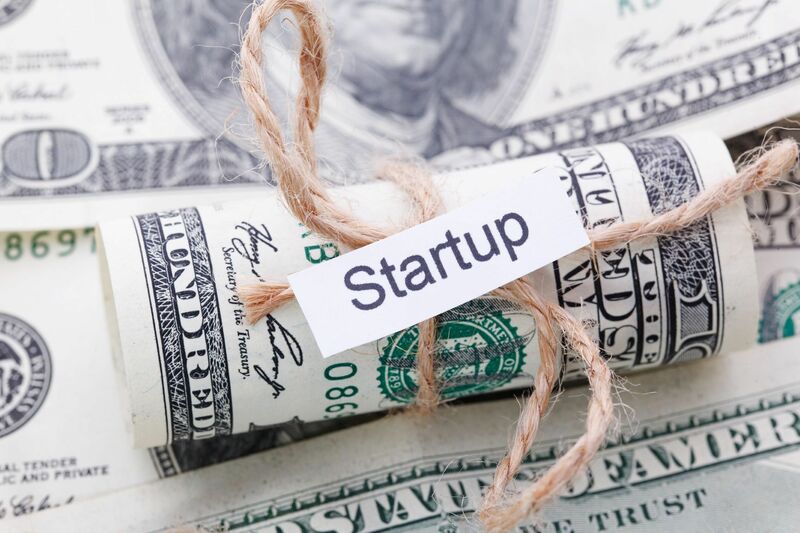 According to Entrepreneur, only 25 percent of early-stage entrepreneurs get their money from bank financing. So your bad credit isn't a barrier to getting your business up and running. The only question left is how to get a small business loan with bad credit? If you've ever wondered how to get out of this bind, keep reading. This article will give you seven options for start up business loans with bad credit. Your story is more common than you think. You may have made some bad decisions in the past, and your credit history is poor. Or you don't have a credit history at all. You may be missing out if you're overlooking business credit cards as an option. Many credit card companies understand this and would still be willing to take a chance on your business idea. These cards are ideal for entrepreneurs. They are one of the best types of business loans for people with poor credit. Yes, the credit card company will look at your personal credit history. However, even people with bad credit can get them. For example, one of your options is the Capital One Spark Classic. This card is available to entrepreneurs who have a credit score as low as 550. It has plenty of features to make doing business easier. What's more, it offers an unsecured revolving line of credit. No annual fee, as well as free employee cards, are just some of the other perks. Want to know the main advantage of taking out a business credit card? Your personal credit has a chance to get stronger. You can repair a bad credit history by being consistent in your repayments. Everyone likes free money. And there's a way to get some, as in a form of "loan" that you won't ever need to pay back. Sound too good to be true? It actually isn't, if you get a small business grant. All you need to do is qualify. Local, federal, and state governments all offer these grants. This is because they are interested in helping small businesses grow. This option can be great if you'd like to avoid the headache of making debt payments. That way, you are free to focus on growing and building your new business. There is a catch though. Often the grants are for specific business areas, industries, or causes the government wants to support. These can include conservation, medical research or science efforts. If you are hoping to open a retail store in a low-income area, you could also be in luck. Many services promise to locate grants for you. However, you should be cautious and do the research for yourself. Once you find one though, it can be a welcome injection of cash with no strings attached. In a similar vein to grants are microloans or nonprofit loans. This can be a bonus to you if you come from a disadvantaged background. Minorities can also often find assistance from various sources. What is a microloan, you ask? The term refers to a small, short-term loan. It won't be in the hundreds of thousands or millions, but it should be enough for a start. While these aren't specifically business loans for bad credit, they don't require a credit check. So a bad credit history won't count against you in securing one. The Small Business Association (SBA) administers a program that gives out microloans. There are local lenders that act as the SBA's intermediaries. If you don't have luck with the SBA, you can also shop around with online microlenders. If you pay back the loan, they sometimes report it to the credit bureaus and help boost your credit score. If you haven't heard of crowdfunding yet, you should definitely add it to your list of funding options. It's become very popular in recent years for entrepreneurs. It could be what you're looking for to give you that extra funding edge. The way it works is by tapping into the efforts of those around you to raise capital. This could be your customers, family, or just individual investors looking to get a return. Furthermore, there's plenty of online options for hosting a campaign and reaching potential backers. The platforms include GoFundMe, Kickstarter, and Indiegogo. They all leverage the power of social media and email to help you. They also provide a space for people to give you feedback on your ideas. While you're looking for funds, you can also refine and validate your business concept at the same time. You can benefit from a number of models when you decide to crowdfund. The first is donation-based crowdfunding. This is mostly going to be beneficial to nonprofits or community projects. This way, people will be motivated to give because they know they are helping a good cause. There's also rewards-based, which gives investors or backers a reward for their contribution. Often this will be a service or product from your company. Say for example you are starting a pet grooming business. The reward you offer could be in the form of a free bath and haircut for investors' dogs. A final option could be securities crowdfunding. It gives away part of your company for equity shares. This is attractive to investors since they'll get a financial return on their investment. No matter which option you choose for your funding campaign, there's a platform that will help. Kiva, for example, does crowdfunding with no fees or rates. It also allows you to leverage your private network in the first stage. Then, once you have enough backers, the public can invest. For entrepreneurs looking for flexible loans, business lines of credit may be the answer. They are revolving lines of credit, with larger limits than a credit card. There are several companies who specialize in this type of loan, and Fundbox is one of them. When looking to see how much money you can be lent, Fundbox takes a couple of things into account. Number one, the value of your invoices. Two, your ability to repay the loan. You should also have bookkeeping or accounting software with six months of activity. There's no minimum credit score required, so it's great if you're thinking about how to get a business loan with bad credit. With this particular company, you can have your money in as little as three days. Fundbox is a good choice if you are making at least $50,000 in annual revenue. You should have been in business for at least three months. Kabbage is another line of credit option. It does not have super strict requirements. If your business isn't exactly strong financially, Kabbage may be the best option for you. The tradeoff is, you'll pay more in terms of cost-per-dollar borrowed. The good news, however, is that you'll get up to $250,000 for your loan. There isn't a minimum credit score required. The company does say that most borrowers have a score of at least 500 though. Like Fundbox, you'll need to make at least $50,000 in revenue per year. Your business should have been in operation for a minimum of 12 months. There's also the requirement to use an online accounting option. Is your company a little more financially strong? Making at least $120,000 a year? Been in business for at least six months? Then you should take a look at Bluevine. This lender will advance you based on the value of your invoices. You're likely to get approved if your cash flow is strong and your debtors are financially strong. Their most popular option for businesses is the six-month line of credit. You need a fairly okay credit score, 530 or more, to qualify for the invoice factoring loan. For the line of credit, your score should be 600 or more. The application process is easy and you'll be able to get the funds fast. Reviews also say that Bluevine has excellent customer service. Be sure you borrow enough money to cover the working capital of the business during the start up phase. You will need to check your credit because your personal credit will be a major factor when you apply for a startup loan. Check with Experian, Equifax and TransUnion to get your credit reports and credit rating. Make sure you have your ducks in a row before inquiring about bad credit business start up loan options. Hopefully, this guide will have given you hope that you can still get start up business loans with bad credit. If none of these options appeals to you, your family and friends can be a great resource. If they believe in you, they may be willing to invest in your company's future. It doesn't hurt to ask. Just make sure that they understand the risks and it won't damage your relationship with them. Are you ready to take control of your credit? Then you need to read our guide to repairing your credit score right now.